Democratic Gov. 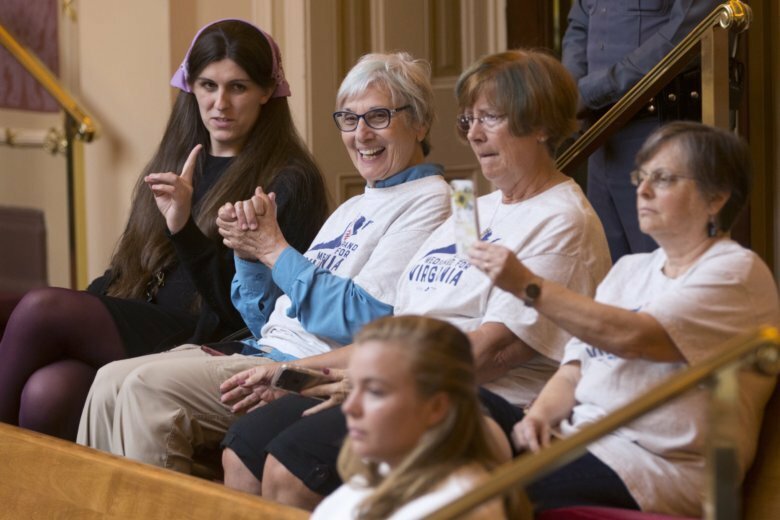 Ralph Northam's approval will come after the state's Republican-controlled General Assembly ignored warnings from the White House against expanding the health care program for the poor. RICHMOND, Va. (AP) — Virginia officials are gearing up for massive bureaucratic blitz to put as many as 400,000 new adults in the state’s Medicaid program. And health clinics are readying for a huge overhaul of how the state delivers cares for the poor. The General Assembly approved a state budget Wednesday that expands Medicaid, ending a yearslong partisan battle while putting pressure on Gov. Ralph Northam’s administration to facilitate a smooth roll out. Northam, a Democrat, is to sign the budget into law in coming days, but his administration has already been preparing for the huge work load ahead. Expanding Medicaid was a key provision of then-President Barack Obama’s health care overhaul that the U.S. Supreme Court ruled was optional for states. Virginia will become the 33rd state to expand, according to the Kaiser Family Foundation. The state will submit state Medicaid plan amendments the federal government for expansion “within weeks, if not days” after the budget is signed, said Dr. Jennifer Lee, director of the Virginia Department of Medical Assistance Services. Northam said he expects newly eligible low-income adults to start enrolling on Jan. 1 of next year. Virginia has previously estimated that only about 300,000 people out of 400,000 eligible would actually sign up for the coverage. The cutoff is 138 percent of the poverty level, which is about $30,000 a year for an adult in a three-member household. Additionally, the state has to craft a waiver request to allow the state to impose work requirements and copays on certain Medicaid recipients. The Trump administration’s support of conservative changes to Medicaid, especially work requirements, is a key reason why several Republican lawmakers say they backed expansion this year after years of opposition. The budget passed by lawmakers Wednesday includes $3.5 million for the state to hire a consultant to help with the waiver, which must be submitted to the federal government for review within 150 days of the budget becoming law. Northam said he was willing to compromise with Republicans on work requirements in order to get Medicaid expansion passed. But he said he views the provision as a “work search” incentive. The Northam administration is planning town halls and IT updates to help get people enrolled and to help private health providers manage the transition. Nonprofit health clinics that provide free care are also getting ready for major changes. Linda Wilkinson, CEO of the Virginia Association of Free and Charitable Clinics, said some clinics are considering becoming hybrid models that both provide free care while also accepting Medicaid payments. The process to get approve to accept Medicaid payments, she said, is labor-intensive. “Changing that business model is enormous,” Wilkinson said. She added that there will still be a strong demand for free services that Medicaid doesn’t cover, including dental- and vision-related care. Teresa Gardner Tyson, executive director of the Health Wagon in far Southwest Virginia, said Medicaid expansion will help improve her community’s overall health and help her clinic focus more on providing care rather than chasing grant money. But she said expansion won’t be a cure-all. “There’s never a shortage of people that will not have access to healthcare,” she said.